Sir Ringo Starr is working on a new album. The Beatles drummer signed a publishing deal with BMG last year, following the release of his 19th solo record ‘Give More Love’, which was released in September 2017. 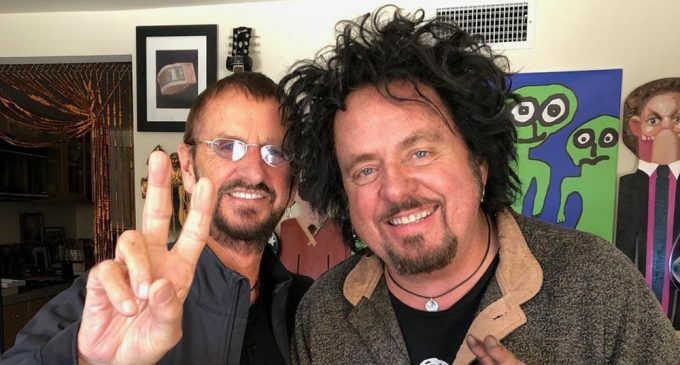 Last week, the 78-year-old musician was seen in a picture with his studio engineer Bruce Sugar and his All-Starr Band live supergroup’s guitarist Steve Lukather. Ringo’s BMG deal means the company is now the home of over 150 of his titles, including the Beatles’ tracks ‘Octopus’s Garden’ from the seminal LP ‘Abbey Road’ and 1968’s ‘Don’t Pass Me By’ from their self-titled ninth studio record, which he penned, and all future works. 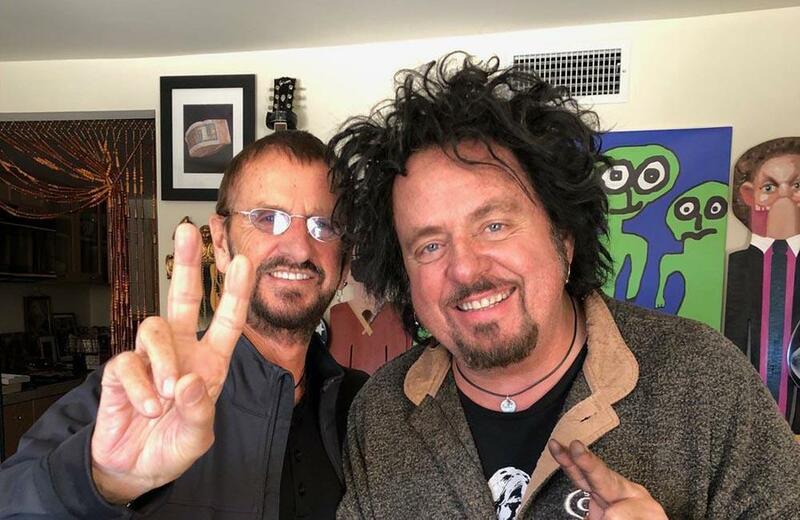 Ringo – real name Richard Starkey – said: “I love making music and the songwriting process – and putting new music out there to play alongside the old. The ‘Let It Be’ sticksman previously gave an insight into how he writes new music. He said: “What usually happens is with the writers I write with, one of us will have a line. “I usually have a whole list of lines, and then we sort of just think what we’re gonna do. and last year saw him team up with former Eurythmics guitarist Dave Stewart on his new music. But Ringo admitted that regardless of who he’s collaborating with, he always tries to direct the tunes towards a feeling of “peace and love” – just like his iconic Liverpool band did.